Can anyone get pizza outside New Jersey? Is there chili east of Terlingua? Is clam chowder red or white? Regional foods can develop a following as rabid as hockey fans. No facsimile can satisfy, and the true item does not travel well. 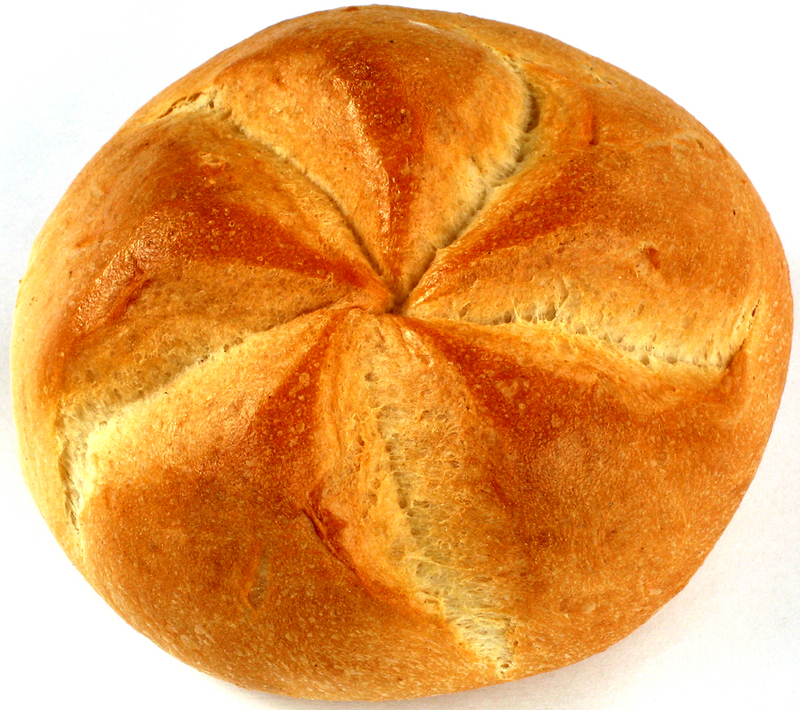 Try to get a kaiser roll in North Carolina and you will find a hamburger bun with a swirl- top pattern. A real New York kaiser roll will, if you drop it, dent linoleum. It is hard and crusty, and it shatters when you bite into it. Alas, they don’t survive outside the Northeast. But if North Carolina doesn’t have a kaiser roll, neither can New York produce barbecue. To most people, ”barbecue” is a verb; you barbecue chicken or barbecue ribs. To a Tarheel, it is a noun that describes a pig roasted slowly over hickory coals and then chopped to smithereens. With dried hot peppers mixed in, it has a wonderful nippy, greasy taste that cannot be duplicated elsewhere. Certainly not in places that feel superior about spitting out bands of rubbery gristle and bits of bone. It is eaten with hush puppies and coleslaw (to help cut the patina of grease that builds up on gums) and contains no tomato sauce. Tomatoes provide the shibboleth for warring chowder heads, too. What is called ”Manhattan” clam chowder is red with tomato and spiced with thyme. To order such a concoction in Gloucester, Mass., is to utter fighting words. ”Real” chowder is thick with potato and white with milk or cream (depending on your level of gourmeterie.) Its seasoning comes from salt pork rather than thyme. New Jersey, land of eternal pizza, does not deliver to the rest of the country. 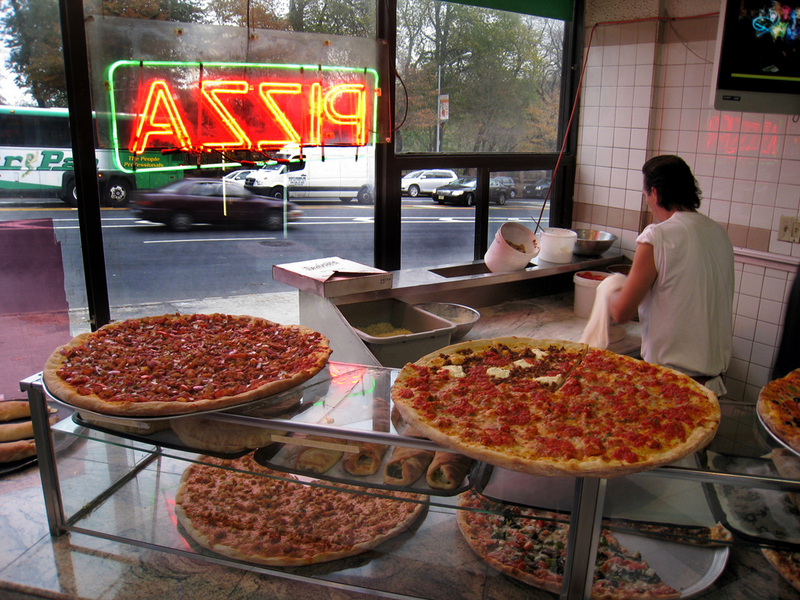 You can get pizza elsewhere, but to a Jerseyite, or anyone in the Tri-State area, even the best of it is only Class A ball. Jersey pizza is the major leagues. 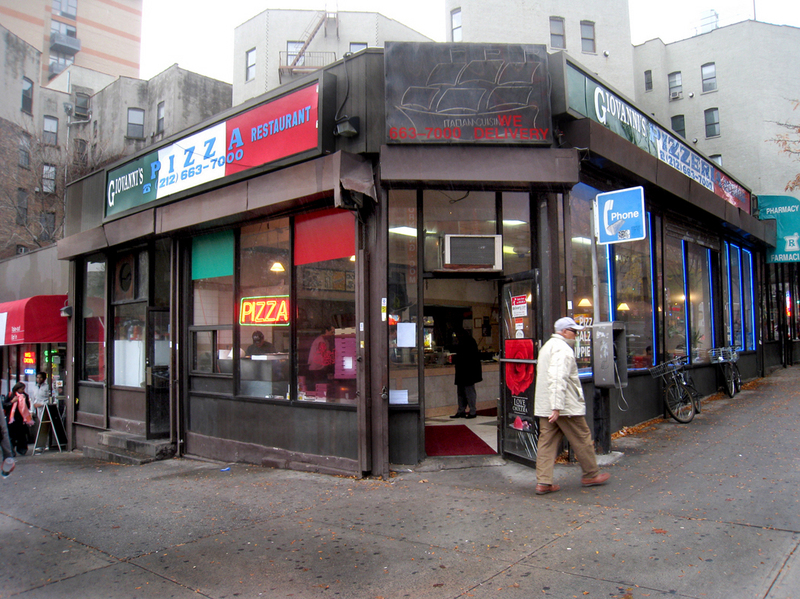 It is not bought in a franchised eatery, it is made in storefront pizzerias by guys named Vinny. It comes with cheese on top and is never a midden of kitchen scraps. When feeling frisky, a pizza lover can get a topping of pepperoni. But ham and pineapple pizza? That is left to the provinces. Of course, Chicago feels just as smug about its pizza. Stuffed pizza. Deep- dish pizza bubbling with cheese, tomato and toppings. To those with broad shoulders, it is real pizza. New York and Chicago are also caught in a dogfight. Should you look for an umbrella that reads ”Sabrett” or ”Vienna Beef?” The true Coney Island hot dog is spicy and has a casing that offers resistance to the tooth. As you bite down, it fights back, finally bursting to the bite with juice and flavor. The bland wieners packed in stores are in another universe — just fast food in a long form. The Coney Island dog is still a sausage. Can you get sourdough bread outside San Francisco? The cushy loaf sold in supermarkets is feeble. A real sourdough almost fizzes in your mouth, and you have to tear at it with your jaws. It is a genuine ethnic food and probably should not be ingested by anyone trained on Wonder bread. Is there salmon south of Seattle? Smoked on alder coals and served in a paper boat with fried potatoes, it is the quintessential food of Puget Sound. It can be mail-ordered (at prices that can make the less worldly-wise faint), but without the smell of the harbor, the moo of the ferry horns and the squawking of gulls, it is not the same. 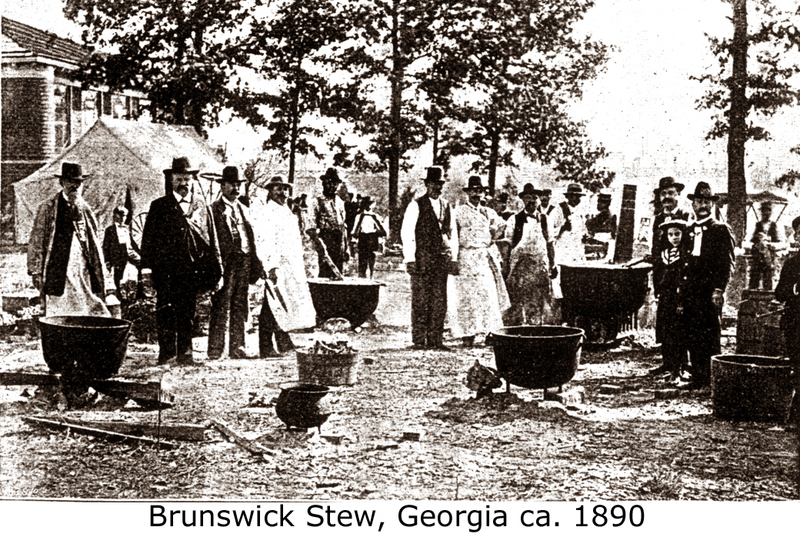 Brunswick stew is seldom made at home. It is the domain of volunteer fire departments and incumbent sheriffs running for re-election. Sold to raise funds or given to garner votes, it is cooked up in a vat that makes you look for boiling missionaries. 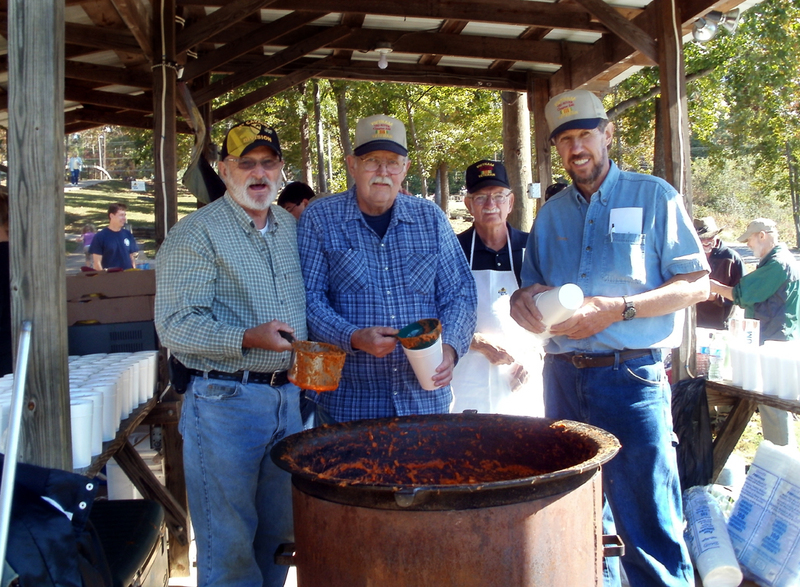 The stew is ideally made of squirrel meat, chicken, corn, tomatoes and ”butter beans.” It must be cooked slowly over a wood fire for days — some say weeks — until everything breaks down and blends. Transplanted scions of Philadelphia miss cheese steaks and scrapple. 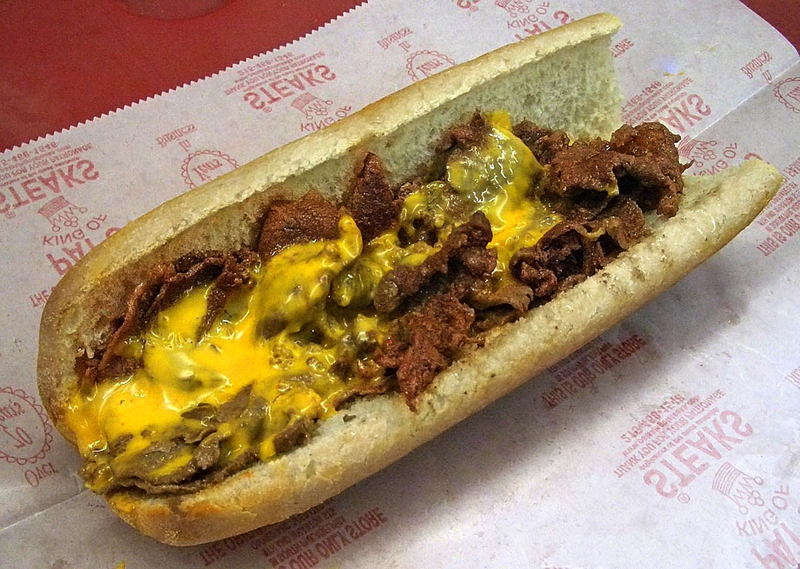 A cheese steak is a greasy mass of thin-sliced sandwich steaks and melted cheese on a roll, all covered with limp onion or peppers. Somehow, made at home or made on the wrong side of the Schuylkill River, it comes out wrong — the wrong cheese, the wrong roll or meat that isn’t thin or, uh, juicy, enough. Scrapple that comes in cans and can be bought anywhere is not the scrapple that Philadelphians want next to their eggs as they read the Inquirer at breakfast. It is a kind of sausage made out of what no one else would consider eating. All scrambled together and fried up, it is irreplaceable. Dirty rice and boudins in Louisiana, baked beans in Boston, soft tacos de lengua in the Southwest, or the pure salt of country ham and redeye gravy in Virginia: None of these can be had in their pure form anywhere but on the dirt that brought them forth. Regionalism in food, though, may be a dying treasure. Just as television has evened out regional dialects — some rural idioms are now grist for doctoral students doing field work among the senior citizens of Arkansas and Appalachia — so franchising is helping to do away with the peculiar zest of regional specialties. If you can’t get a real pizza outside New Jersey and New York, neither are you likely to find a truly bad one. Smoothed out and made bland, you can phone out for one in the middle of Nebraska. When Fuzzy Nelson of Madison, N.C., sold his barbecue for franchise in New York City, the recipe changed to make the dish more palatable for the Big Apple. Like the loss of regional beers and the disappearance of downtowns across rural America, the mellowing of food chauvinism seems inevitable. You had better discover local specialties before they go the route of the fajita. Great article! And boy, can I relate having grown up on Long Island and now living in Eastern NC. I miss Kaiser Rolls badly. In fact that is how I found your article. I tried to make a traditional deli breakfast special, with what looked like a Kaiser Roll but was far from it. I was trying to find a bakery in NC that might make a real hard roll when I found you. I agree in all aspects except the Chowda! REAL clam chowder did not have cream either. Alot of traditional clam chowders were coastal, ranging from New England all the way down to Florida. In fact the traditional Down East Chowder here in North Carolina is basically clams, clam juice, bacon, potatoes and onion. Adding tomatoes it is rumored came from Portuguese immigrants the took traditional clear chowder of Rhode Island and added tomatoes. The people of Maine were so abhorred by this tomatoey version, that their legislature actually passed a bill in 1939, making tomatoes in clam chowder illegal. And that is my useless informal tidbit of the day.